(MoneyWatch) "The Man Who Predicted Japan's Lost Decade... The Recession of 1990-92... The Biggest Bull Market Run in U.S. History... and most recently, the 2008 Credit Crisis and Stock Market Crash... Now Predicts: "DOW 3300!" Yes, today the Dow Jones Average may be near historic highs... but it won't be for long! The Dow will drop." So begins the ad for Harry Dent's "Survive & Prosper" free e-letter. Dent claims that he'll not only show you his economic analysis and demographic research that proves the Dow is about to make a historic drop, but also how to retire in luxury despite the forecast of drop in the Dow of about 80 percent. This guy promises a lot, but who is Harry Dent? Do tactical allocation funds add value? Harry Dent is one of the more successful financial authors, at least in terms of book sales. In December 1993, Dent published "Great Boom Ahead: Your Comprehensive Guide to Personal and Business Profit in the New Era of Prosperity." Dent was a bit early as the market rose just 1 percent in 1994. However, over the next five years the S&P rose almost 29 percent per annum. That set the stage for the success of his next book. In October 1999, Dent wrote the bestseller "The Roaring 2000s." The following is from the Library Journal's review: "Dent's previous book "The Great Boom Ahead" accurately predicted the stock market boom of the 1990s. In this one, he looks ahead to the new millennium and claims that the Dow may reach as high as 35,000 within the next decade, due in large part to the changing demographics of baby boom investors." Dent could not have been more wrong. The next decade saw the S&P lose 1 percent a year, producing a cumulative loss of 9 percent. Despite this failure, which might have humbled someone else, Dent persisted. In January 2006 he published "The Next Great Bubble Boom: How to Profit from the Greatest Boom in History: 2006-2010." Again, Dent was wrong. Not long after publication, we experienced the worst bear market since the 1930s. And for the full five-year period the S&P 500 Index returned just 2.3 percent per year, well below the return on safe bonds. This seems like less of a bubble boom, more of a bubble burst. Dent remains undaunted by his failures. 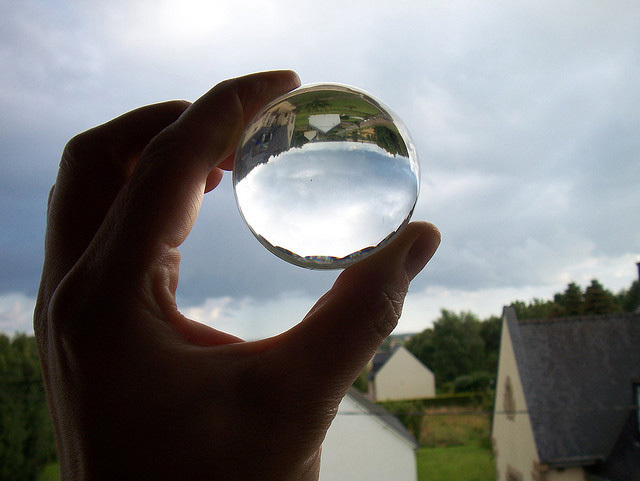 He persists in his efforts to try and convince investors that his crystal ball is clear. His latest effort, "The Great Crash Ahead: Strategies for a World Turned Upside Down," was released in September 2011. Here is wording from the product description of the book: "For over fifteen years, New York Times bestselling author Harry S. Dent, Jr., has been uncannily accurate in predicting the financial future." It's hard to believe even a publicist could lie so shamelessly. The true story is that Dent's success as a forecaster would be more accurately compared to the blind squirrel who occasionally finds an acorn -- make enough forecasts and you eventually will get one right. Why do people listen to Harry Dent in light of his obvious inability to accurately predict the future? I believe it is because most of us want certainty, even when we know, logically, that it doesn't exist. With investing it is a desire to believe that there's someone who can protect us from bear markets and the devastating losses that can result. That leads to what we can call the "Wizard of Oz" effect. We come under the spell of wizards, authoritative voices who we are "trained" to take their words as truths. We want to believe that we can control things because as Woody Allen put it, otherwise "life is scarier." Yet, political scientist Philip Tetlock demonstrated in his outstanding book, "Expert Political Judgment: How Good Is It? How Can We Know?" that even professional economic forecasters don't make accurate forecasts with any persistence. In fact, the only predictor of accuracy was fame, which was negatively correlated with accuracy. In fact, those more likely feted by the media made the worst forecasts. That explains a great deal about Dent. The lesson Tetlock's research provides is that as much as we would like to believe there are those that can predict the future, prognosticating is the occupation of charlatans. However, Tetlock also noted that all is not lost. "We are not fated to fail to break this tight symbiotic embrace between self-confident suppliers of dubious products and their cling-on customers. Even fierce resistance can be overcome. Index funds have benefited from slowly spreading knowledge of how hard-pressed stock-pickers are to best dart-throwing chimps." A fitting denouement to this story is the tale of the AIM Dent Demographic Trends Fund, which was launched on June 7, 1999. Dent was a consultant to the fund. The fund was up 54 percent for the remainder of that year. Unfortunately, the fund's results were miserable afterwards. From 2000 through 2004 the fund lost over 11 percent per annum and underperformed the S&P 500 Index by almost 9 percent per annum. In 2005 its sponsor put investors out of their misery by merging it into the AIM Weingarten Fund. Undaunted, at least in his belief that investors would entrust their assets to him, in September 2009, the AdvisorShares Dent Tactical ETF (DENT) was launched, with Dent himself as the co-manager. The fund's track record was so poor that in August 2012 the fund was liquidated and sent to where it belonged -- the mutual fund graveyard.